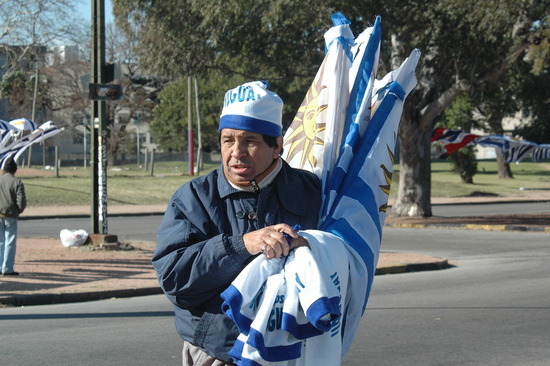 50 Days before South Africa Welcomes the World Cup to the African Continent and I start dreaming of what the number 50 means to me and all my Uruguayan Brothers and Sisters. 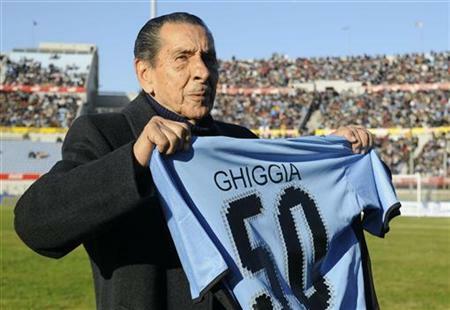 The First thought would have to be Ghiggia in ’50 scoring the winning goal to make Uruguay 4 time World Champion. The emotions are hard to explain but my dad remembers it well as he was 9 years old and was staying near the Brazilian border listening to the game on the radio. The Uruguayans would throw rocks across the river at the Brazilians and this continued throughout the game. Only to finish with a celebration that could only be compared to a meteorite storm. The second thought, would have to be “El Mundialito” in 1980 which was the 50 Year Anniversary of the first World Cup held in Uruguay in 1930. Once again Uruguay was able to win the tournament at home and once again beating Brazil in the final like in 1950 by the score of 2-1.